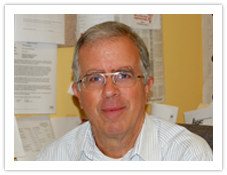 Richard Swartz joined the Bloomfield-Garfield Corporation in 1981 as a commercial district revitalization specialist, following graduate work in urban planning and public administration at the University of Pittsburgh. By 1986, Swartz was overseeing all of the BGC’s program development efforts as its executive director. He and his wife, Laura Swiss, have two children, Riza and Reuben.